The annual winter fan fest for the Pittsburgh Pirates took place last Saturday, January 26, at PNC Park. Fans had a chance to walk through parts of the ballpark that they normally would not be able to and interacted with Pirates players, coaches and team management. Curve radio broadcaster Garett Mansfield had the opportunity to catch up with several players that spent time recently in Altoona. Mitch Keller and Cole Tucker shared their thoughts on being so close to the big leagues. Kevin Kramer and Kevin Newman talked about the infield, the Pirates’ young talent and their upcoming bobblehead giveaway on July 27. Also, Jameson Taillon and Chad Kuhl gave us some insight on the Pirates pitching staff. You can hear the full recap from PiratesFest below. Most of the team’s core was present to sign autographs and answer questions at a handful of Q&A sessions with fans. The pitcher’s panel was composed entirely of players that wore a Curve uniform at one time (including Joe Musgrove, who rehabbed in Altoona last May). Season Tickets, Mini Plans and Flex Books are currently on sale by phone at 877.99.CURVE, online atAltoonaCurve.com or in person at the PNG Field offices. 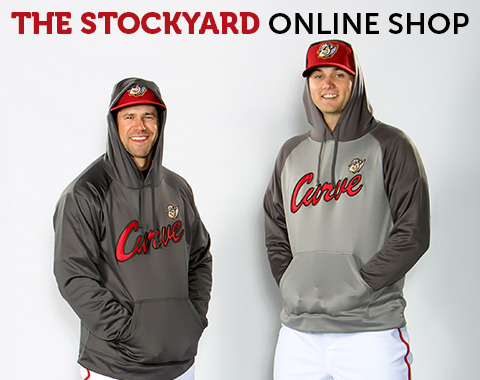 The Stockyard Team Store is open Monday-Friday from 9 a.m. to 4 p.m. and online 24/7/365. Who will be the first Curve alum inducted into the Hall of Fame? From the Booth: One Year in Curve, Pa.